operation consist of 250,000 broliers. 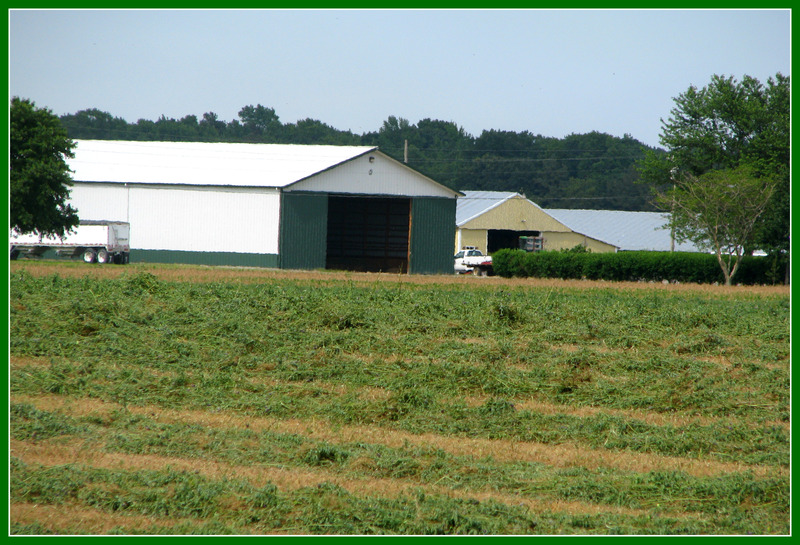 One of our alfalfa fields with our hay barn in the background. 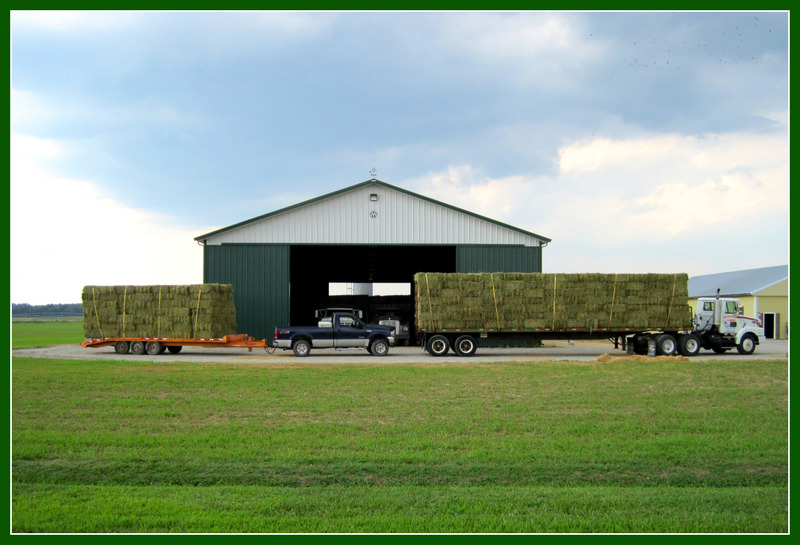 Hay that is ready to be delivered.